Gambeson type 10. MEDIEVAL MARKET - SPES. Long, loose gambeson with a slit on the back side. Wide sleeves. Standard version includes 4 bindings (leather straps). Can be used as the only protection or worn outside the armour. 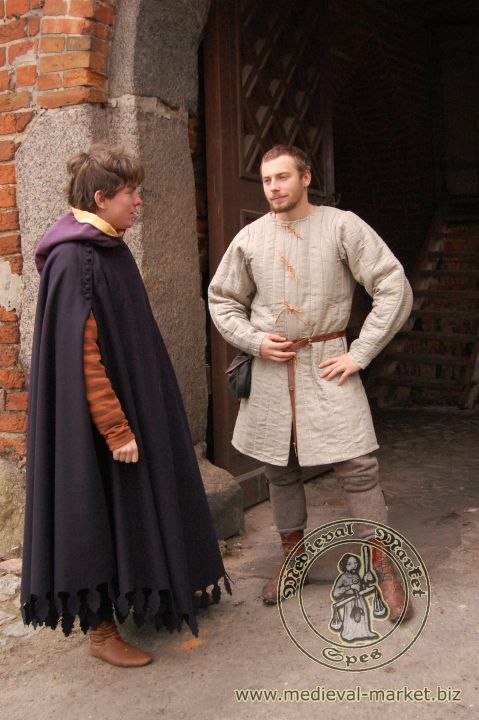 This type of gambeson was used during the whole of the 14th century.